Description Help Jump Face reach the goal! Dash through 50 levels with difficulties ranging from simple to finger numbing intense!! Replay levels to earn better times and get yourself on the high score boards. 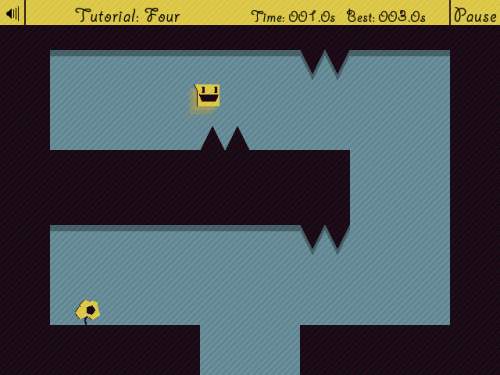 Jump Face moves on his own, press space to tell him when to jump. He will turn corners when reaches them, and stick to walls and ceilings when he touches them. Press the left arrow key to slow down the speed of the game and make precision jumps. Press the right arrow key to speed up the game and get better times. Remember, the goal is to get to the flower.